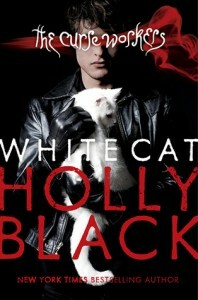 The cons get craftier and the stakes rise ever higher in the riveting sequel to White Cat. After rescuing his brothers from Zacharov’s retribution, Cassel is trying to reestablish some kind of normalcy in his life. That was never going to be easy for someone from a worker family that’s tied to one of the big crime families—and whose mother’s cons get more reckless by the day. But Cassel is coming to terms with what it means to be a worker, and he’s figuring out how to have friends. Except normal doesn’t last very long. Soon Cassel is being courted by both sides of the law and is forced to confront his past—a past he remembers only in scattered fragments, and one that could destroy his family and his future. Cassel will have to decide whose side he wants to be on, because neutrality is not an option. And then he will have to pull off his biggest con ever to survive…. I’m not going to talk about the story in this review to avoid the spoilers for the first book (and it’s more fun to see it unfold on your own). Red Glove was darker compared to White Cat. It feels less YA than the first book, with all the killing and mystery murder, and death. Cassel is less of an unreliable narrator here, because he has his memory back, but there’s still a lot of confusion with what exactly was happening. Even so, it was fun to read, and I easily got into Cassel and the Curse Worker world despite having read the first novel years back. I enjoyed Cassel and his interaction with his friends, and the FBI agents, and his family – and I felt really sympathetic about the mess that he gets himself into. Power does not consist in striking hard or often, but striking true. Life’s full of opportunities to make crappy decisions that feel good. And after the first one, the rest get a whole lot easier. Cassel comes from a family of Curse Workers – people who have the power to change your emotions, your memories, your luck, by the slightest touch of their hands. And since curse work is illegal, they’re all criminals. Many become mobsters and con artists. But not Cassel. He hasn’t got magic, so he’s an outsider, the straight kid in a crooked family. You just have to ignore one small detail – he killed his best friend, Lila, three years ago. Cassel has carefully built up a facade of normalcy, blending into the crowd. But his facade starts to crumble when he finds himself sleepwalking, propelled into the night by terrifying dreams about a white cat that wants to tell him something. He’s noticing other disturbing things too, including the strange behavior of his two brothers. They are keeping secrets from him. As Cassel begins to suspect he’s part of a huge con game, he must unravel his past and his memories. To find out the truth, Cassel will have to out-con the conmen. I’ve had White Cat on my TBR shelf for more than a year now, but since it’s hidden somewhere behind some of my figurines on my shelf, I forgot it existed until I was looking for something light but not quite fluffy to cleanse the reading palate and hopefully pull me out of a slump. And then I found this and realized how long it has been languishing on my shelf, so I brought it on my trip with some colleagues to the beach for some light reading. In some ways, White Cat fulfilled that “light” read because it’s YA urban fantasy so it was quite easy to dive into the story. The hard part is that it’s all about con families that it’s kind of hard to figure out the twists in the story while I was enjoying my time at the beach. But anyway. Cassel Sharpe comes from a family of Curse Workers — people who can do certain things to certain people by a slight touch of a hand. Cassel doesn’t have much to worry about though, since he’s the only non-Worker in the family. He seems the weirdest, though, with his strange dreams and sleepwalking, and oh, the fact that he killed his best friend, Lila, three years ago. Cassel tried to live as normally as he can — going to school, talking to his mom who’s in jail, helping out at his grandfather’s home by doing all sorts of chores — but things are getting stranger and stranger not just with him but around him, and he starts suspecting that he’s caught in a con game, and the only way to get out is to out-con the conmen. White Cat was fun. It was easy enough to get into but not too easy to lose its substance and my interest in the world that Holly Black created. I liked the entire concept of Curse Workers, about how people can have certain abilities that can be used for good or bad, and how they’re all oppressed because of these abilities. It’s almost like they’re mutants or something, but I guess with more control? I also liked Cassel’s family, and how I was never really quite sure about which was real in the story. Were his brothers good or bad? Can he trust his grandfather? Is Cassel even trustworthy after everything? White Cat keeps the readers thinking, and I liked how it unfolded in the end.